Martin Nathan on the application of time in narrative. In 1880 a pneumatic time system came into operation in Paris, transmitting air pulses through a subterranean network of pipes from a central point in Rue Saint-Anne. By its peak it drove 7,800 clocks and the city was synchronized by these pulses, moving another step forward, minute by minute. 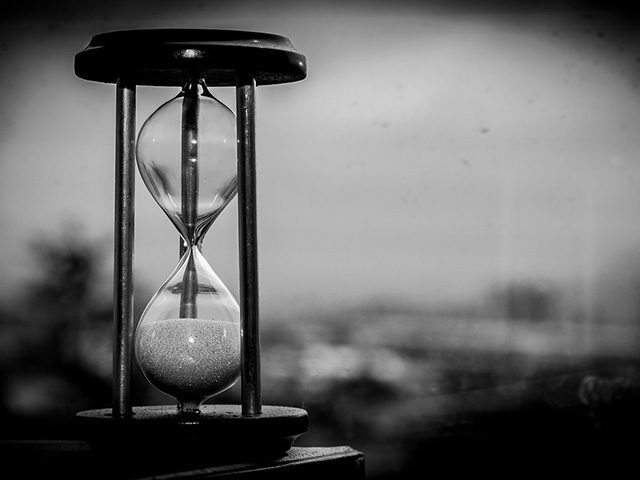 An extended narrative, such as a novel, is a construction in time. It can follow the course of a single day, like Joyce’s Ulysses, or a thousand years, e.g. Normington’s The Devil’s Highway. It can have multiple pathways as various characters navigate their course through a set of events, and it probably has more freedom to manipulate time than any other art form. With this freedom comes the potential for frustration and confusion on the part of the reader. Some years ago I went to Greece in a bid to save a collapsing relationship. Somehow ouzo and fermented octopus didn’t do the trick, but while we were away, my partner’s parents stayed in our Brixton flat. They had a busy itinerary visiting all the major London landmarks in a fortnight. When we returned, they told us they had been terrified by the area and only left the flat to visit Marks and Spencers. My father-in-law presented me with a map of the area he had cut out of the Daily Mail. On it he had plotted all the murders that had taken place during the two weeks we’d been away. The numbers were boosted by a serial killer who was targeting old people. He had marked each with a pin, red or blue for pensioners. Each pin was marked with the time and date. The string marked the distance from our flat. At the top he had cut out the Daily Mail’s headline: Brixton’s Murder Mile. Later it struck me that the map my father-in-law had created could be a useful pattern of the events of a piece of fiction. It helps you to move from a straight chronological unfolding, and opens up the possibilities of entering into the sequence of events late and working backwards and forwards simultaneously. It also suggests the possibility for each of your characters knowing a different selection of events, becoming aware of them in different sequences. In ‘The Poetics’ Aristotle defines plot as the arrangement of events in time. His favoured example is Oedipus Rex, and the arrangement of events within the tragedy is more complex than a simple chronological unfolding. Sophocles enters at the point of crisis with plague ravaging Thebes and past incidents are uncovered amid prophecy, as the climax unfolds. The narrative of a novel generally does not consist of events, but of characters becoming aware of events. The modern novel provides opportunities for more complex time structures, and the sequence of whereby characters learn of events is significant. It is generally a good principle in fiction to minimize what your characters know, and only to let them discover information as it is necessary. This is commonly used in genre fiction e.g. thrillers and crime, but has a wider application, and requires you to keep track of this growing knowledge. In the diagram below, the lines show the paths where a particular character becomes aware of events. It has an entry point of the ‘serious assault’ and the action of Chapter 1 is the character becoming aware of Murder 5, Chapter 2 is Murder 4, Chapter 3 is Murder 2 and 3. There will often be several of these for different characters. 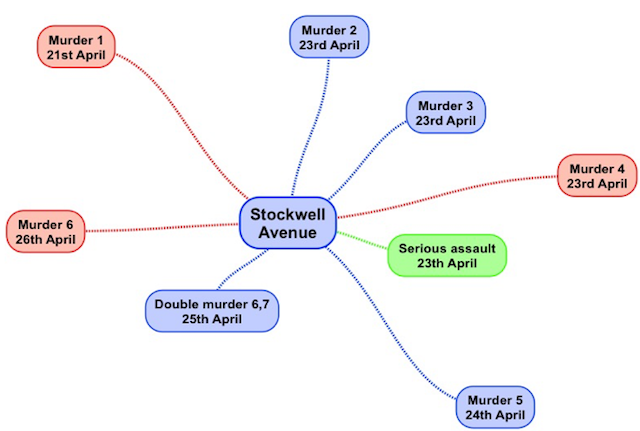 This is of course just one way to map these processes, and any kind of event could replace murder. If you read Genette’s Narrative Discourse, you discover the process of a narrator becoming aware of events can be complex. Even simple narrative passages often involve time shifts, with flash-backs and flash-forwards (Genette uses the terms analepsis and prolepsis). These can be explicit relocations in time, or more subtle, with predictive elements, foreshadowing or recapitulation. These time shifts can be disruptive to the reader and confusing if they are not controlled but they often enrich a narrative. The degree of latitude can be used as a defining character trait where you have several narrative voices. Some voices can be prone to reflection on the past and anticipation, where others are much more limited to the immediate moment. Analysis and mapping the sequences and time shifts retrospectively the way Genette does, is hard work and is likely to lead to a significant drop in your output. Establishing the rules in advance for each character is much easier and can enrich the narrative provided you are controlled and consistent in their use. A seemingly straightforward narrative often relies on the tension between a character’s expectations, plans, hopes, fears and the unfolding events. In ‘The Birth of Tragedy’ Nietzsche puts the Apollonian element in conflict with the Dionysian. The Apollonian is rational and prophetic, following a strategy to bring about an outcome, whereas the Dionysian is instinctive and stuck in the immediate experience. When this tension becomes too much, the plans fall apart. Nietzsche suggests that the solution to problems ultimately requires a departure from the rational, leaving behind the familiar and entering the world of darkness, instinct and terror. This descent into a chaotic irrational world is commonly used in drama, fiction and film. But you might not like what you discover down there. 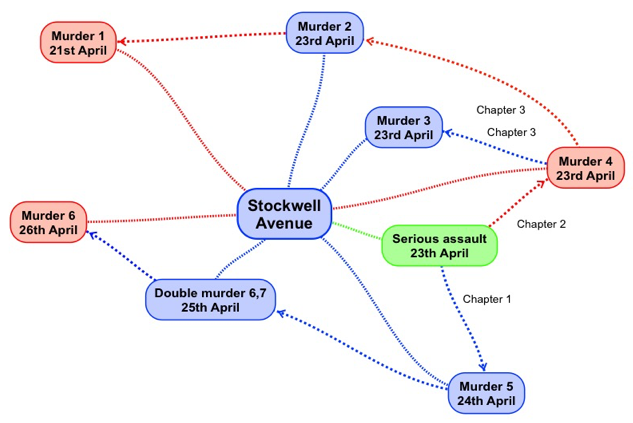 Novels can have complex structures of characters involved with events in a series of patterns in time. Manipulating these patterns offers depth and interest in the structure of fiction but can be disruptive to the reader if not managed carefully. Defining and following the rules of time for the narrative is essential to avoiding confusion. 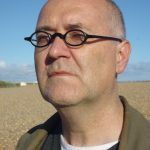 Martin’s fiction concentrates on the horror of the everyday: uncovering the dark forces that operate in familiar worlds. He has won prizes and been shortlisted in Bristol Short Story, Grist, The Short Story prize, CroMagnon, Women in Comedy, Fish and been published by Tangent Press, Hissacs, Here Comes Everyone and Grist’s Experiments in Points of View, and he is one of the writers contributing monologues to the Young Vic ‘My England’ project. 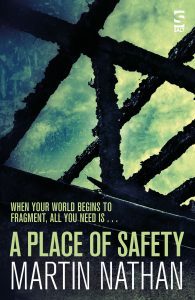 His novel – A Place of Safety – is published by Salt Publishing. He is currently studying for an MA Creative Writing at Birkbeck College.